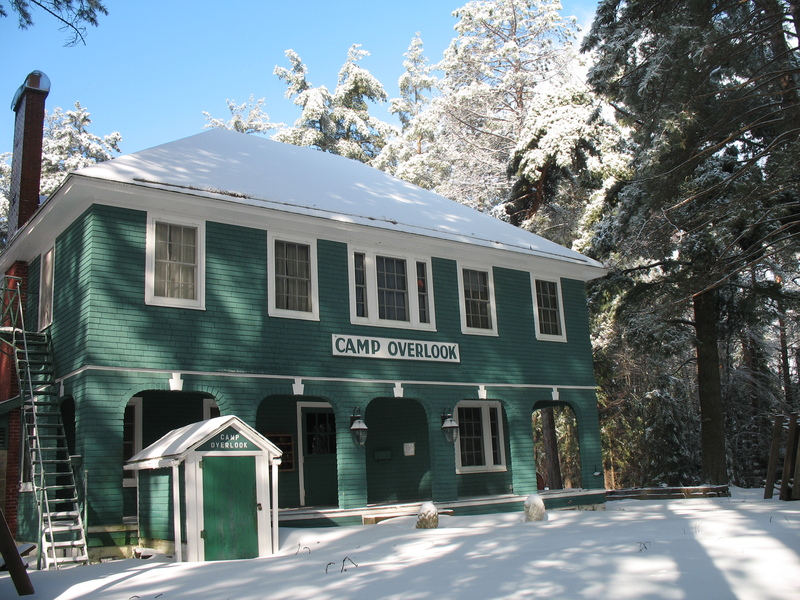 Camp Overlook is beautiful all year round and now you can enjoy it in any season. With our multi-purpose, new winterized Great Hall, you and your group can take advantage of all that camp has offer. Finished in 2010, Camp’s Great Hall has seriously changed what camp has been able to offer both during summer camp and throughout the off-season. Heated all year long, the building contains a state of the art industrial kitchen, men’s and women’s bathrooms with showers, two open side rooms, and an enormous and adaptable community room. The Great Hall’s kitchen is used, during the summer, to feed upwards of 150 people. With 2 industrial convection ovens, a large range stove, industrial dishwasher, walk-in cooler, freezer and pantry, endless counter space, and five separate washing stations, the kitchen is capable of serving a group of 2 or 200. By renting the facility the whole space can be yours or, we can help you connect with one of our oft-used caterers. The great room, or The Commons, is used during the summer as a dining hall but has so many more uses. With it’s spacious floor area and cavernous ceilings, the room has been host to dances, potlucks, company meetings, craft fairs, religious services, and even a few cinema-like movie nights. Capable of seating more than 150, The Commons is an ideal place for gathering. 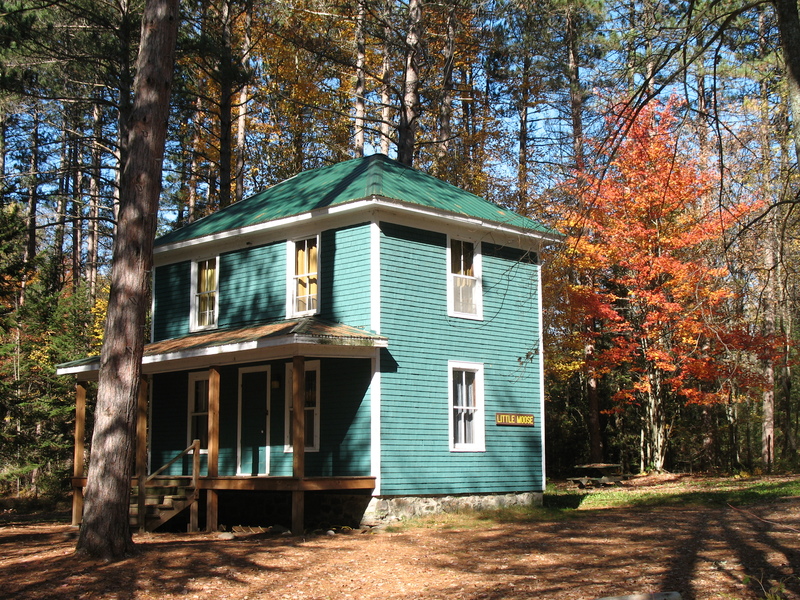 The Lodge is one of camp’s oldest and most cherished buildings. Originally a hotel in the early 1900’s, it served as the camp kitchen, dining hall, office space, and staff quarters for many years. Now utilized mainly as office space and sleeping quarters in the summer, the Lodge has transitioned to the main cabin for incoming groups to stay in. 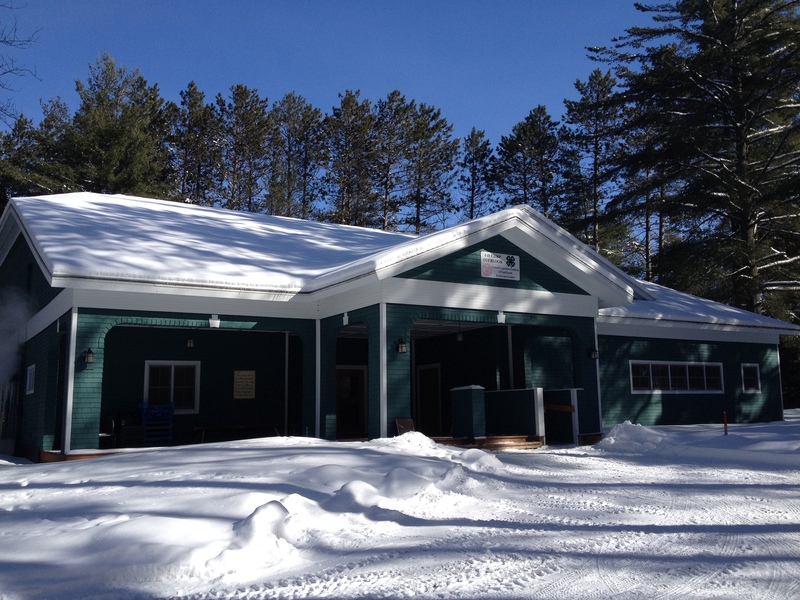 Capable of sleeping 20+ with four separate bedrooms and one open room, this heated building has maintained it’s rustic charm to provide the Adirondack experience your group has been searching for. Camp Overlook maintains twelve cabins of varying size and capacity on it’s grounds. Almost every one of them having their own unique style, the cabins provide a real camp experience complete with bunk beds and lockers. Each cabin has electricity but no running water. 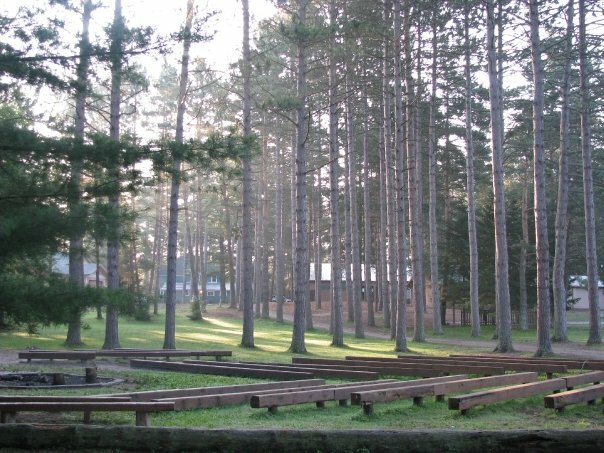 Situated around the perimeter of the grounds, the cabins are largely split by the camp rec field to separate girls and boys during the summer. 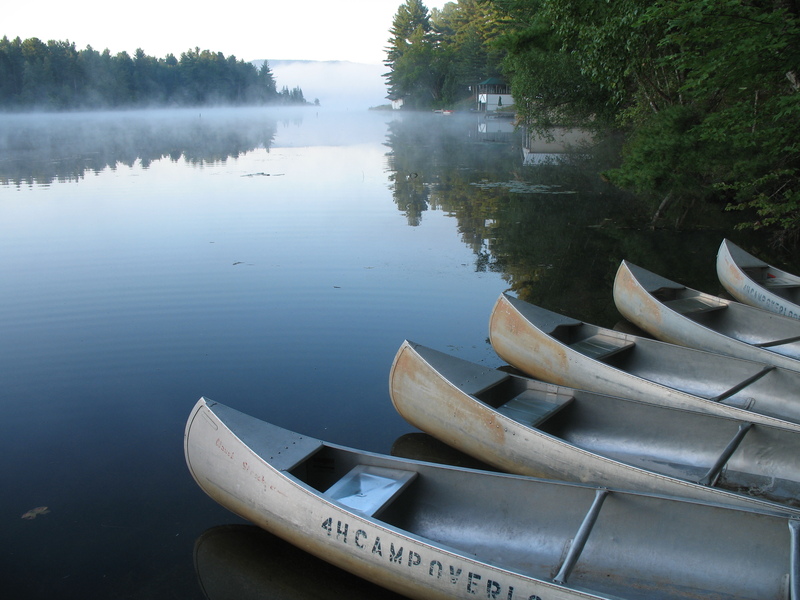 Perhaps the greatest allure of camp are the sprawling, wood-covered grounds located on the channel of Indian and Mountain View Lake. Established in 1945 as a residential summer camp, the physical environment has gone largely unchanged in the 70 years that camp has existed. Many of the grand trees that currently line our roads and paths were planted as saplings at the very beginning of Camp Overlook. Just a short walk from camp, the beach is home to one of the many spectacular views one can hope to see during their stay. 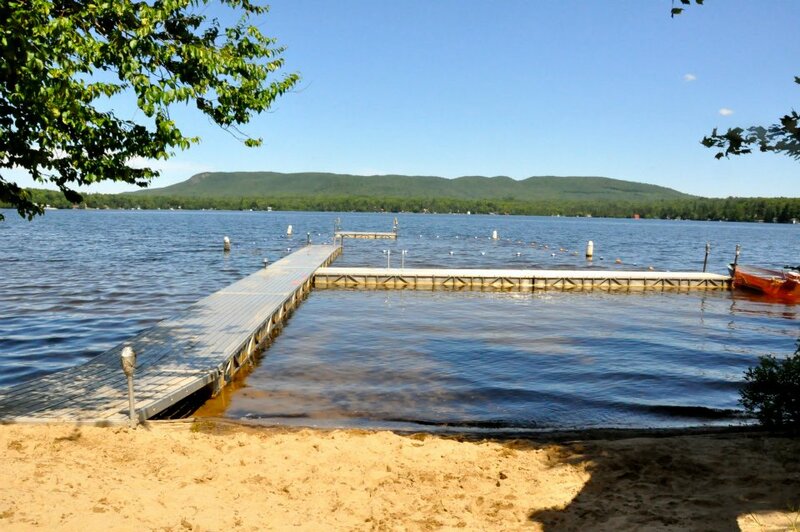 Directly across from Owls Head Mountain, the beach is a great place to cool off on a hot day or just sit in the sand and take in the sights. You can’t miss camp’s Rec Field. 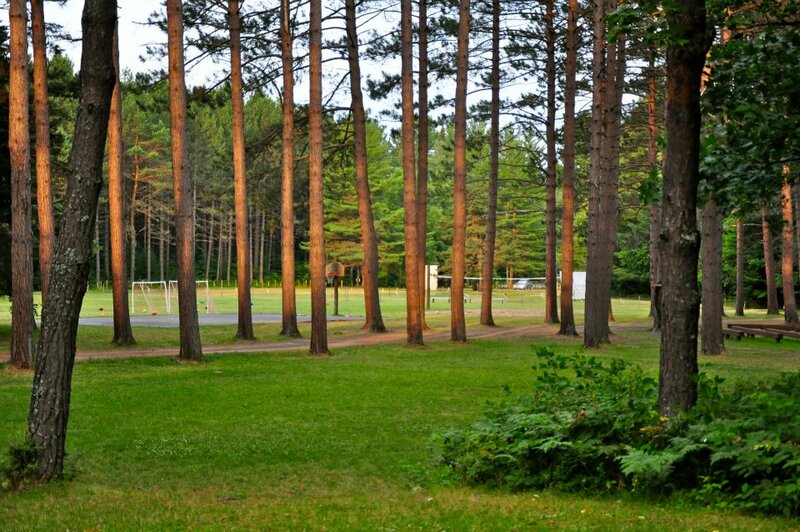 It’s the first thing you’ll pass on your entry to camp and is usually full of people playing soccer, Frisbee, 4 square, volleyball, or basketball. The primary athletic field at camp, it’s a great place to stretch your legs and your talents as you learn some unique Overlook games like Ultra Square, Zombie Tag, and Monkey Ball. What’s a camp without a campfire?? Ours is rimmed by immense hardwoods and capable of seating 200+. Grab a seat, bring some marshmallows and enjoy the silence of the mountains at night. You may never see a darker night sky. Contact Teresa Peterson-Martin, 4-H Camp Registrar, at 518.483.4769 to inquire about available dates and to book a facility rental. Hello Denise, Please call our Camp Registrar, Teresa, at 518.483.4769. She will let you know availability and pricing. Thank you! My fiance and I are looking for a place to have a autumn wedding and we’ve been told by so many to take a look at the 4h camp and was wondering what your prices are. We do about 1-2 weddings a year. Currently our wedding prices are the same as all our facility rentals: per person. Day guests are $12/day per person, and Overnight (which includes the day before or after), are $20. Feel free to call our office at 518.483.4769 with any specific questions. Looking to rent the facility Aug 7-11th 2019 for a large group.